Apple kicked off its iPhone 5 event in San Franscisco with the usual gloating about sales figures, boasting that it had shifted 400 million iOS devices. Tim Cook, Apple CEO took to the stage and wowed the audience with some impressive stats on the iPad. 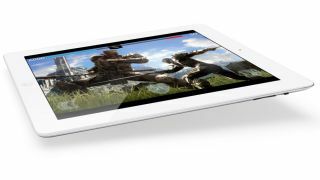 Cook said: "in the last quarter, 17 million iPads were sold. We sold more iPads than any PC manufacturer sold of their entire PC line." "This brings us to a total of 84m units (iPads). Shocking when you think this is a category that didn't exist two and half years ago." When it comes to surfing the web on a tablet, Apple claims the iPad is leading the way here aswell. Cook continued: "iPad accounts for 91% of all the web traffic from tablets. "I don't know what these other tables are doing. They must be in warehouses or on store shelves, or maybe in someone's drawer." Fighting talk from Cook, and a clear jab at the rest of the (Android) tablet market which will be quaking in its boots after that impressive showing from Apple. Can anyone stand up to Apple when it comes to tablets? We can't answer that, but what we can say is that Apple is still the daddy in this market.